First Ever Monday Made it! But I LOVE what I made today. Today marks the 5 month marriage mark. That's right! I will be a married woman in 5 months! How fast time flies! It's so crazy that soon I will be a Mrs.! Before I met Mr. Roboto I thought I was going to be a spinster...I had actually come to terms with being alone for the rest of my life and possibly adopting, when and if I wanted children. So along with all the happy, giddy feelings I have ... I am also stressed ... out of control stressed. Every time I think I check one thing off my list...I think of two more things I need to add on. And then...I talk to other soon to be brides...and they remind me of the other 500 things I'm "supposed" to do. But...It will all work out and everything will be ok...and we will be happy and have tons of fun. So...I decided I'd finally get some wedding things done today. Mr. Roboto and I are pretty crafty. I LOVE crafts...and he likes to draw...which means we are going to be doing a lot of things for the wedding ourselves. Here are the Save the Dates I made. The pencil has our website on it. I loved making these...please excuse the grease stain...I was eating Chinese. So, my dear friend found this great idea online and pinned it to my shared wedding board. We are having a photo booth...but I didn't want to make/buy props. I thought this would be the perfect way to incorporate props for cheap. Bonus-they are disposable. Here's what I made. We all know you would never misbehave at our wedding reception. But your evil twin..well who knows? Please feel free to employ this mischievous facial hair as need so no unruly behavior is unfairly attributed to you. Any blame will go directly to your evil twin. and your reputation will continue to shine. The mustache peels right off. I bought a pack of 6 for $1. I bought 14 packs...I tapped in to my card stock hoard, savings stash (get it...stash?). So in all...I spent around $16. LOVE IT!! Check out my instagram page to see a video of this in action. 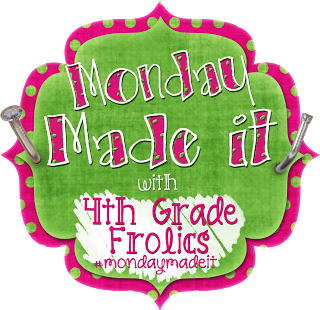 Oh, and thanks to Fourth grade Frolics for hosting such a fun linky! I am dying over the evil twin mustache! That's so much fun and a guaranteed way to get the party goin'! Congrats on your upcoming wedding, girl!! Ohhhh....who doesn't love a bride to be! You are gorgeous and please post about your preparations again. It reminds us of when we were in your shoes and lights a candle for those not yet there. The evil twin mustache photo booth idea is a riot! I looooooove it! Might have to consider that if/when I get married! Congrats! Those are so cute!! I've never seen a save the date like that, I love it! Congratulations! The "Save the Date" invites are so cute! You all are so sweet!! I'll be sure to post our creations as we get closer to the big day!